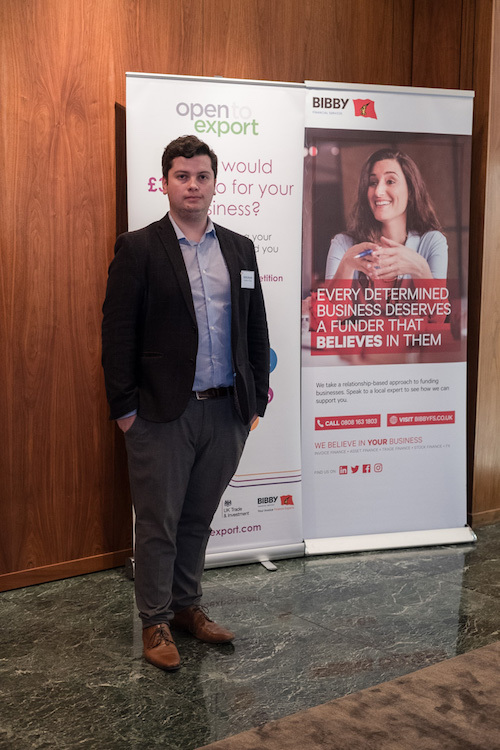 In the latest of our exporter case studies following the recent Export Action Plan competition final, we talk to luxury dog product producers Hounds of Eden. Who are you and what does your business do? My name is Ashley Bennett and I’m a director of Hounds of Eden. We produce hand-made luxury dog products from iconic British fabrics such as Harris Tweed and Liberty London. Where are you with the exporting at the moment? Currently we are exporting B2C via our website and the online marketplace Etsy and we’ve been doing that since September 2015. We export around 10% of our annual turnover every year, mostly to the US and Germany. How has the Action Plan tool helped Hounds of Eden? It actually helped me to think about things I had never considered before. For instance, in certain cultures you might want to change your brand or the way you market your products. It asked me questions I hadn’t considered but which might be important for going into other markets or countries. So Japan is somewhere that we’ve had a lot of interest, but I’m putting it on the backburner a little after doing the plan because of things like the cost of translation, that we might have to redesign packaging and things like that. We do have a stockist in Japan who’s very happy and part of the design for our product tag came from ideas they gave us – things like having Made in Britain on the products, which is so important out there. The plan helped me to understand that there’s a lot more to consider when entering new markets. In terms of Brexit, what’s the impact been so far? So far it’s not impacted us, though we may have seen a slight dip in European sales but I would need to double check that. Previous Post Exporter case study: Acuregen Next Post Exporter case study: Lifestyle Services Corporation Ltd.